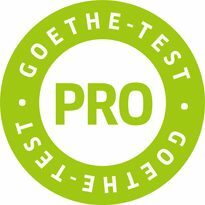 The Goethe-Test PRO is a flexible online test. It can be taken either at one of our test centers worldwide or on your company’s premises. 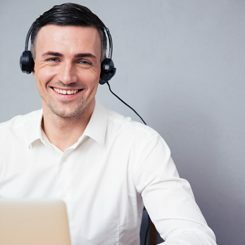 The test employs the methods of the renowned Business Language Testing Service (BULATS) and is based on the Common European Framework of Reference for Languages (CEFR). Do you want clarity instead of vague assumptions about your own language skills or those of your employees? Then do not hesitate to contact us directly! We will draw up a non-binding quote for you and provide you with support in preparing and conducting the test.